Extraordinary Home Renovations from a Team You Can Count On! From major to minor interior and exterior home remodeling projects, Intense Home Renovations offers a professional, quality level of service that can’t be topped. Rest easy knowing Intense Home Renovations has achieved the status of “Certified Weather Stopper Roofing Contractor” for GAF, North America’s largest roofing manufacturer. Intense Home Renovations is one of a small number of professional contractors in your metropolitan area that as earned this special factory-certified status. This status is special; fewer than 5 of every 100 professional roofing contractors in the U.S. meet the professional qualifications and commit to the superior standards required to become a GAF Certified Contractor. 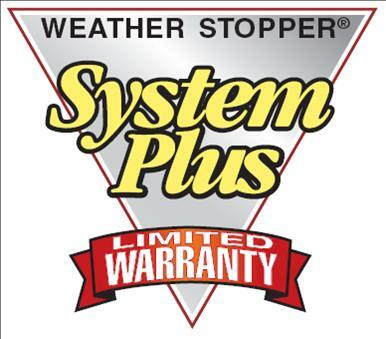 The special GAF Weather Stopper System Plus Ltd. Warranty can only be offered by a factory-certified organization. This means our customers can receive much greater peace of mind, because this enhanced warranty more than doubles the coverage of traditional roofing warranties offered by competitors. Intense Home Renovations is also especially qualified to offer the Weather Stopper 3-Part Roof Protection Program. Intense Home Renovations has pledged to ensure that each customer receives their “best and safest choice” in roofing. At Intense we specialize in many types of roofing, we literally have you covered no matter what you’re roofing needs may be. Whether your roof needs complete reconstruction or just some maintenance, Intense Home Renovations specializes in exceptional, quality roofing craftsmanship. Intense Home Renovations specializes in providing professional exterior home solutions, while providing top of the line siding materials that not only give your home the curb appeal it deserves, but allow you to save on energy costs. We offer everything from complete installs to repair for all types of siding. Looking to add space and value to your home? 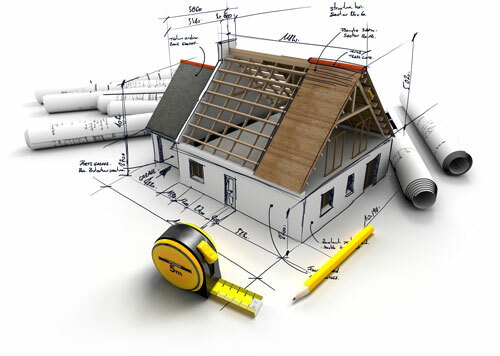 Intense Home Renovations provides cost-friendly, highquality home additions. Whether you’re building a house from the ground up or just making a few repairs, our team of professionals will deliver top quality home improvements at competitive pricing. Plus, we use top quality materials to guarantee a long-lasting result. Count on Intense Home Renovations to give your kitchen or bathroom the beautiful makeover it needs. Whether you are looking to build or remodel we can help you achieve your dream. We believe in enhancing your quality of life with a kitchen or bathroom that will speak to the lifestyle that your family will enjoy. At Intense Home Renovations, we take pride in being a one-stop shop for all your home improvement needs. No matter how big or small your next renovation project is, our team of friendly, reliable professionals is happy to help make your vision a reality. "I've never seen such impeccable drywall work and the tiling is done beautifully. They are honest and professional and a great company to work with!" "Intense Home Renovations recently installed a new roof including new plywood on my home. I am extremely happy with the work that was done and would recommend them to anyone. I will definitely be calling them back for future projects. "These guys have done some exceptional roofing work for us and our family's homes! Great guys, awesome work and excellent prices!! Highly recommended!!!" "These guys put a really nice front porch on my house in one day! They do great work." "Need some work done on the roof and Jorge came out and fixed it fast. Good company... HIGHLY RECOMMEND...."
"These guys r great. I would recommend them to anyone!!" For Friendly, Fast, Reliable Home Improvement Services, Call Intense Home Renovations Today! For over 25 years, Intense Home Renovations has consistently made their customers the priority. Through focusing on bringing each customer’s vision to life, our goal is and always has been to end each project with a happy homeowner. Based in Pasadena, Maryland and serving all areas of Anne Arundel Count, Intense Home Renovations is family-owned and operated. Our team of over 40 skilled, qualified craftsmen is what sets us apart, as you won’t find more talented, masterful professionals elsewhere. Many new customers are referred to us by previous clients who have been overwhelmingly impressed with the amazing attention to detail put forth by Intense Home Renovations. By choosing to hire Intense Home Renovations for your next project, you’re making one of the best decisions possible as a homeowner. You’ll be bringing some of the area’s most talented and qualified professionals into your home to increase its value and visual appeal. In addition to our improvement services, Intense Home Renovations also takes care of your budgeting needs, and helps with purchasing materials and hiring additional labor to get the job done right. Our contractors specialize in efficient project management, meaning they will keep your project on track and see that it finishes within your budget. Jorge Lopez began his home improvement career in 1988. After becoming vastly efficient in the home improvement trade and being very passionate about providing quality craftsmanship, he decided it was time to establish Intense Home Renovations as a way to help local homeowners achieve their goals for all of their home improvement needs. Jorge feels the most important aspect of our work which separates us from others is our commitment to each and every customer by caring about their needs, respecting their opinions and treating them like family. Whether your job is big or small, Jorge believes in building a successful relationship with each customer by providing quality materials, installation and project management. We can transform your Dream into a Reality! Check out some of our latest work. Click on a project to view more images. ©Copyright 2015 Intense Home Renovations, LLC. All rights reserved.